This past weekend was probably one of the most fun I've had this summer. We spent a beautiful day with our aunt and uncle out in Long Island, starting off with lunch at Noah's in Greenport. The restaurant is very spacious with soaring high ceilings and lots of round tables for easy group conversations (not enough NYC restaurants have round tables). 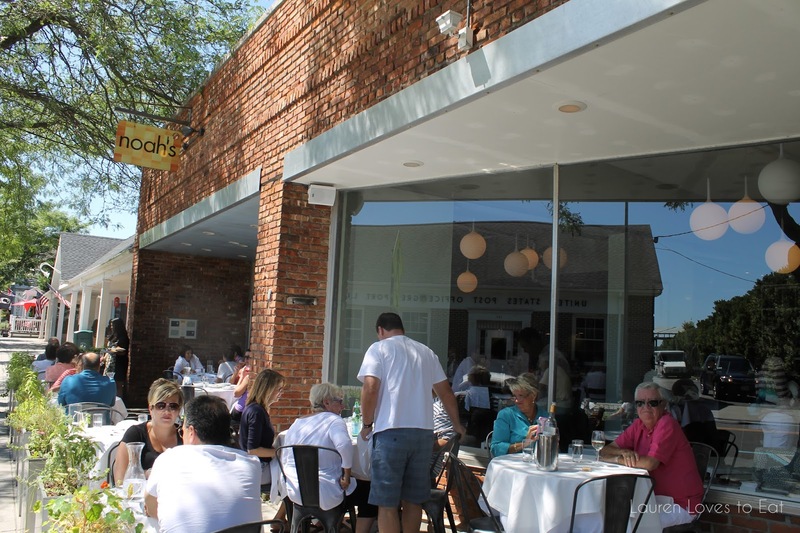 The temperature was perfect, and there was plenty of outdoor seating. 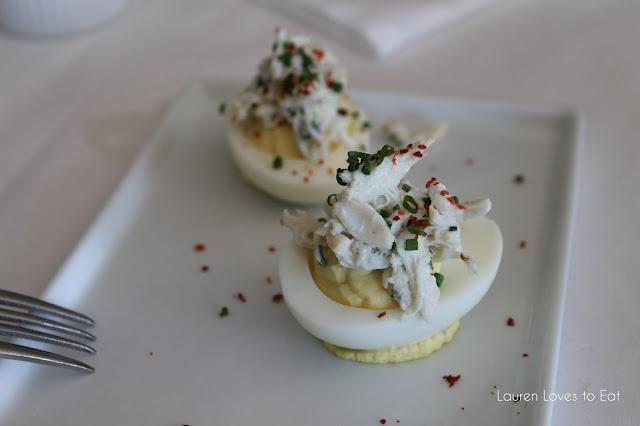 We'd already placed our orders when I then skimmed over the appetizers and this crab meat deviled eggs ($4) caught my eye. I am a big fan of deviled eggs but don't see it on the menus that often in NYC restaurants. This was delicious! The crab meat was super fresh, and the chili flakes brought a nice little spice to it. 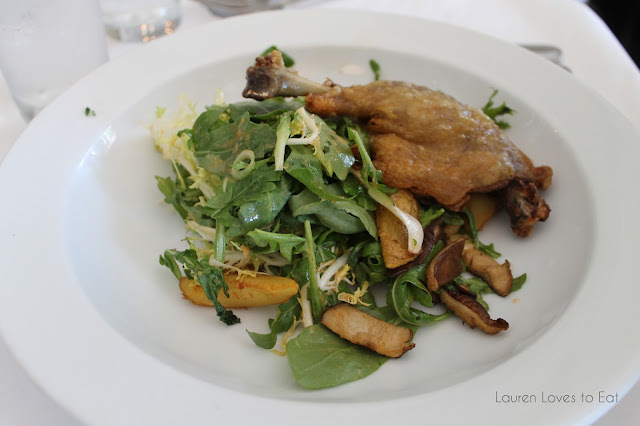 Crescent Farm Duck Confit Salad, $17: Fingerling potatoes, Shitake mushrooms, frisee, arugula, truffle vinaigrette. My aunt said this salad was disappointing. I think we all also didn't expect the duck to be fried. 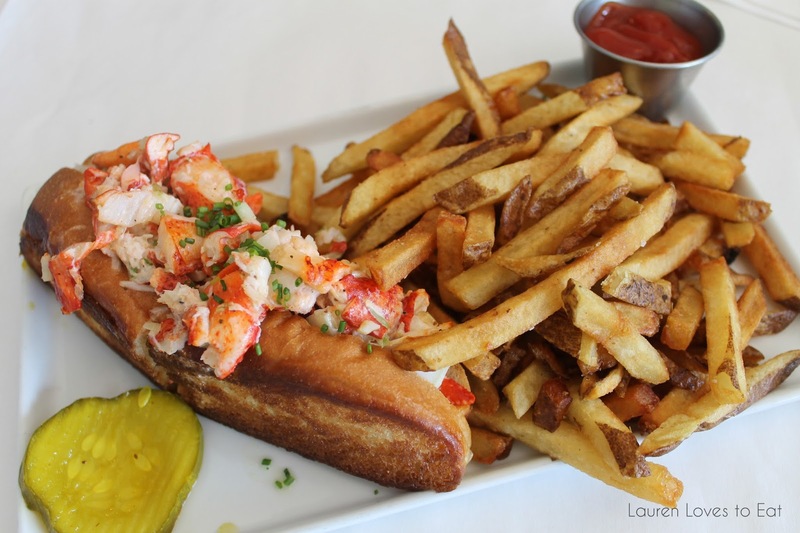 Lobster Roll, $24: Shaved fennel, hand cut French fries, pickles. The bun was stunning-- warm, buttery and fluffy. The lobster was just as good, insanely fresh. I think it could have used a little mayo and lemon juice though. I would definitely recommend Noah's. 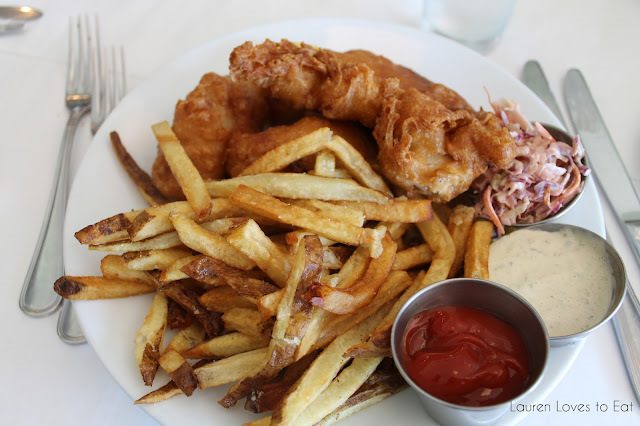 Although our service was on the slower side, the food was great, and the restaurant is walking distance from the Greenport LIRR station. In total it was a 3 hour ride from Penn Station. This was REALLY good. You have to go out there one weekend!